The New Entity tool allows you to add both new point-based and new brush-based entities to your worlds. Please refer to the Introduction to Editing for a quick overview on point-based vs. brush-based entities. The Entity Guide lists and describes all entity types that are available with Cafu. The New Entity tool is activated by either clicking on its related button on the tools toolbar, or by pressing the Shift+E keyboard shortcut. The left half of this bar is relevant for placing point-based entities, i.e. at New (point) entity type: you choose the type of the new entity that is to be created. The right half of the bar allows you to turn the currently selected brushes into brush-based entites and back. That is, the Turn into (solid) entity type: button turns world brushes into a brush-based entity of the type that has been chosen from the list to the right of the button, whereas the Back to world button reverses the process by turning the currently selected brush-based entity into regular world brushes again. In one of the 2D windows, click where you want to place your entity. 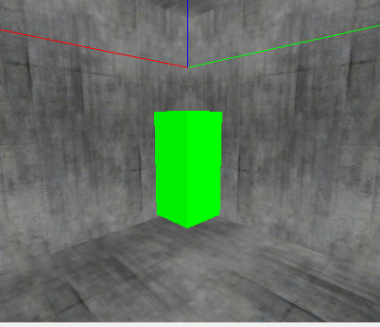 A green box will appear where you clicked. This is where the entity will be inserted. Drag the green box to where you want the entity in the other views. Select the type of entity you want to insert from the “New (point) Entity” dropdown box. I'm inserting an info_player_start. Put your mouse cursor over one of the 2D views, and press enter. The entity should appear. You should be able to see it in both the 2D and 3D views. Note that other entities are different colours, shapes and sizes. In this example, I will be adding water to a very simple map. The process is very similar when inserting other brush entities. Select the New Brush tool. In a 2D view, drag out a box the size you want your water to be. Adjust the size in the other 2D views. 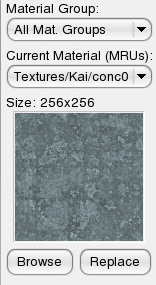 (This step is not necessary for most other entities) Click the “Browse” button in the texture settings (under the tool icons). When the viewer pops up, change the filter to “water” (without quotes). Select one of the materials. 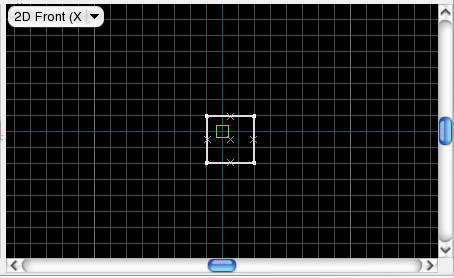 With your mouse cursor over one of the 2D views, press Enter. The brush should be selected if not, select it with the selection tool. Click the New Entity tool. On the far right side, select “func_water” from the drop down box. Click “Turn into (solid) entity type”. Now compile your map, and you should see water! Flash Tutorial – A flash tutorial that demonstrates how entities of type static_detail_model are created and how their visual and collision models are properly set. The second part of the tutorial examines a collision model by example and summarizes how new collision models are created.